The best thing about riding a bike across town is that it's a pretty sure bet that you're going to get there. A flat tire takes less than ten minutes to change. Other problems can happen, I suppose, but I don't have much experience with catastrophic bicycle issues, so not sure what they might be. I guess there could be a medical emergency or something like that, but that can happen just as easily if you're in a car or taking the bus. 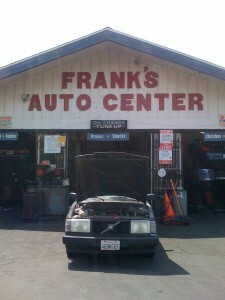 Last Friday, I attempted to cross town using my trusty old 1992 Volvo 240. I've had the car since 2000, and I don't drive much so it's a bit dusty. But it works OK, or so I thought. I've been considering the possibility of adopting a new vehicle, but there doesn't seem any reason to switch it up. I'd rather be on my bike anyhow, but I have a personal rule against bicycling with a laptop. The last time I rode with it, I fell down and landed on the laptop. The computer was fine, but it hurt to breathe or laugh for a few weeks. Perhaps it would have made more sense just to be a more careful rider. The fall didn't have anything to do with the laptop and nothing bad happened to it anyhow. The only injury was to myself. Macs are strong. So why on earth I put the ban in place is a mystery. 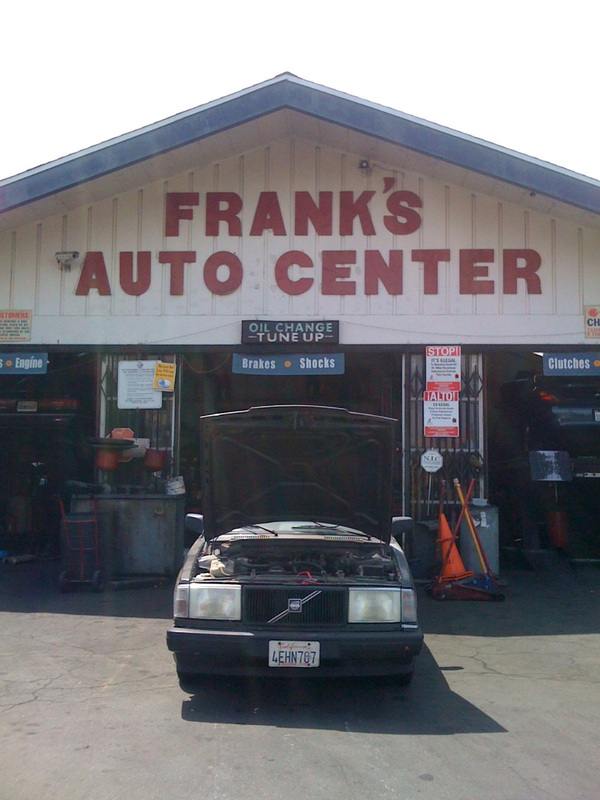 Anyhow, I was scheduled to give a talk at UCLA at 2pm, so I got in the Volvo with the computer at 1 and left the house. If there's no traffic, it's a 15 minute drive. 20 max. So I figured I had enough time to get gas and maybe even stop by the post office. I filled my tank and took a left on Washington Blvd. Almost immediately, all the power in the car left. The car just stopped. The end. Raptured in the middle of Washington Blvd. I'm generally level-headed about these sorts of things, but it was a bit nerve-wracking. I knew I'd be late to UCLA. I had a bus schedule with me but the bus to UCLA doesn't run very often and I'd have to get to the correct line from where I was, which would take awhile. 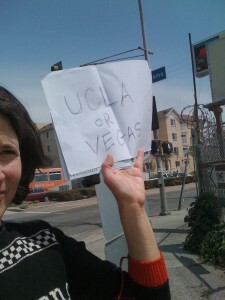 I figured probably 2 hours to get to UCLA from where I was via bus. Plus, I was in the center of the road and couldn't just leave my car there. So I called Triple A and asked for a tow truck. Glad I didn't get rid of my membership. It does come in handy sometimes even though fundamentally I'm upset about the very idea of paying dues to a "club" that supports automobile driving. There was some room at the side of the road, so I thought I should get my car over there and out of the traffic lane, even though there's something undeniably fun about sitting in the middle of the road in your car yakking on the phone. I called the TA to tell her my predicament, and then got out and started pushing. I'm wearing a dress and high heel shoes and I'm pushing a dirty car. Some U-Haul van pulls up behind me and starts honking. I get into my usual road rage and yell back that there's nothing more I can do than what I'm doing. I don't actually say it in a nice way. Anyhow, I go up to the driver to explain that she should just go around me and it turns out she's super nice and wants to help. She says she's been stranded plenty of times herself and she knows what it feels like. So then four people jump out of the van and help me push the car over to the side of the road. I'm tempted to flee the scene right then and there but it's in a no-parking zone, so I figured I should stay for the tow. This nice young man picks me and my car up and takes me to some car fixing place nearby. I make it to UCLA 45 minutes late and a bit undone, but it's fine. I give the talk, and Louis picks me up and brings me back to the car place. Turns out it's something with "the electrical." According to the dude, Volvos are notorious for random electrical problems. He can't really explain why whatever happened happened, and I'm not even sure exactly what went wrong. Two days later I’m in Detroit and exactly the same thing happens to my phone. Sparks, flashes of light, then it’s taken away to heaven to live with Jesus forever.